I first created Biscuits for Teethers in my own kitchen for my daughter when she was teething. Today, the very same original, organic recipe is available to you and other caring parents worldwide. 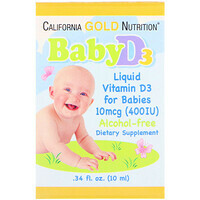 Specially created for your baby with ♥, Rondi. Healthy Times Organic Biscuits for Teethers were specially developed by Rondi. The hard surface provides exercise for gums and jaws, while satisfying the natural urge to bite. 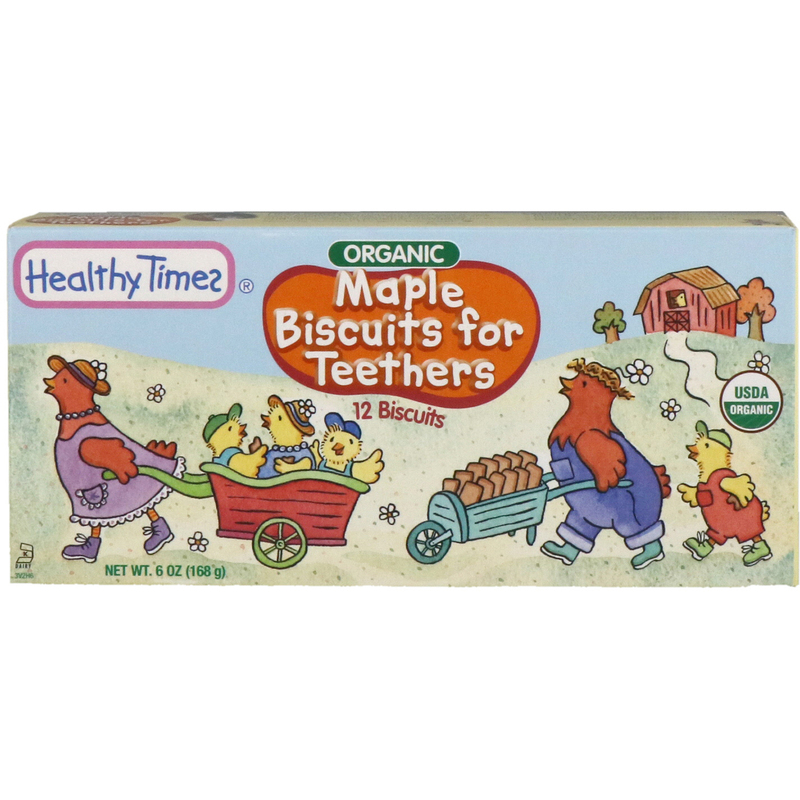 Because of the delicious taste and easy to hold shape, your baby will love Healthy Times Organic Biscuits for Teethers. Organic oat flour, organic barley flour, organic molasses, organic cold pressed safflower and/or organic sunflower oil, calcium carbonate, organic maple syrup, natural flavors, mixed tocopherols (vitamin E). 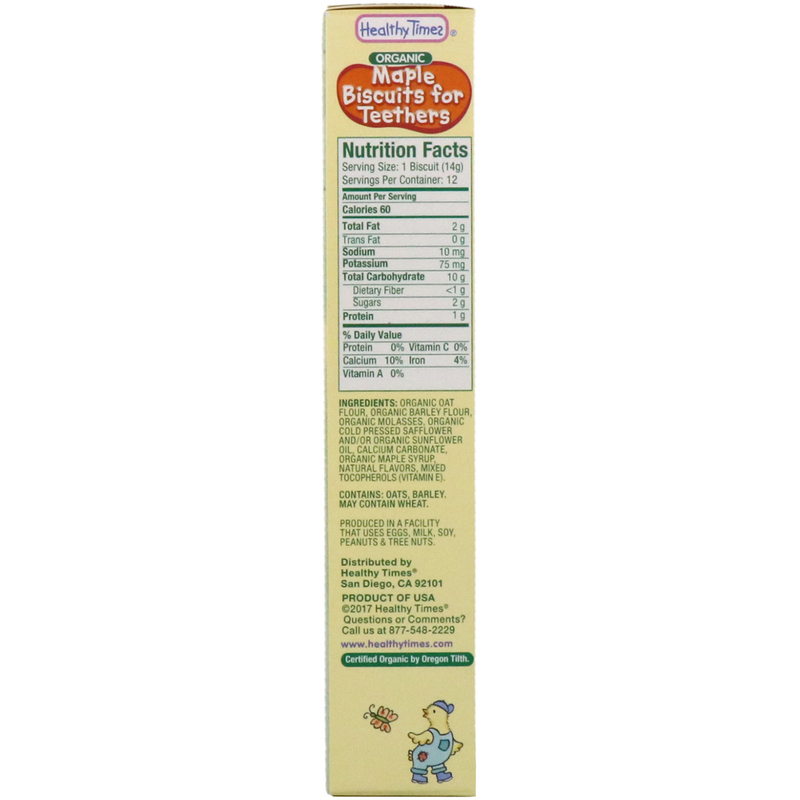 Produced in a facility that uses eggs, milk, soy, peanuts & tree nuts. Feed baby in a sitting position to reduce the risk of choking. Please watch your child closely at mealtime and snacktime.